Situated on the banks of the River Tay, Birnam lies in Perthshire's Big Tree Country. The town is closely associated with Beatrix Potter who spent her childhood holidays here and Shakespeare's Macbeth which features Birnam Wood in one of the play's dramatic twists. No portion of this page, text, photos, images or code may be copied, reproduced, published or distributed in any medium without the expressed written permission of the copyright holder. 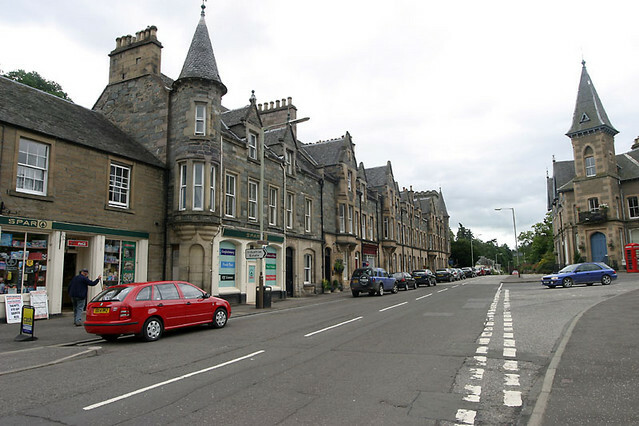 Including this photo of Murthly Terrace, Birnam.